Wear a billed hat with your head lamp- Bugs like to gravitate toward your light so this keeps a little guard in front of you. Make noise on the trail- If there are lions, tigers, and bears (oh my!) on the trail, at least they’ll know you’re coming! Come on, who likes to be sneaked up on? Beware of where animals could be resting– Even if you’re making noise, you don’t want to step into their personal space so beware of big rocks, small caves, anywhere that looks like an awesome hiding place for hide-and-go-seek! Hydrate before your hike– Most often we forget to hydrate when it isn’t hot outside or in the middle of the day. If you’re going for a hike (whether during the day or at night), make sure you hydrate before you go… and during and after! Know the trail- Hiking at night is not easy. Its hard to navigate and easy to lose the trail. Know the trail in the day or go with an experienced hiker who has hiked this trail in the day. Trust me- you don’t want to get lost at night! Does anyone have night hiking advice? Night hiking is good fun and quite different from day hiking. Some of my best memories are from a night hike! Night hiking is wonderful – during a full moon you don’t typically even need a headlamp (at least that is my experience in Florida! It is a totally different experience and one I enjoy sharing with other persons! You are correct with sometimes not needing a headlamp! Sometimes the moon is all you need! I love hiking at night! I was just like you before kinda nervous about being in the dark in the woods where I was unfamiliar with my surroundings, and then I learned to just let go of that fear and embrace the awesomeness. Night energy is so different then day energy! Once i get into the groove, I could hike forever! 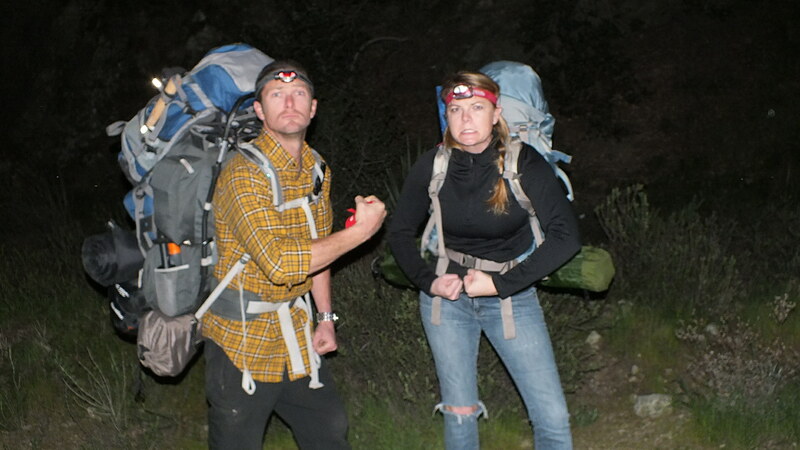 Modern headlamps have really changed night hiking making it so much safer. I’m always amazed at being able to see the terrain so well now.